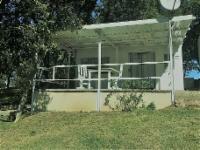 Our Accommodation is situated on the shores of the Vaal River, Smilin Thru Resort is the perfect laid-back getaway. You’ll find us just on the outskirts of Parys where the natural beauty is mesmerizing. Situated in the Vaal Triangle area of South Africa it offers a scenic paradise in the unspoiled nature of the Vredefort Dome World Heritage site. 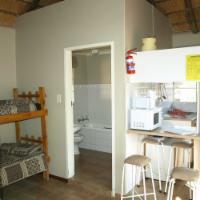 Ideal for a weekend getaway for those living in Gauteng, only 1 and a half hours from Johannesburg. Smilin Thru Resort offers scenic landscapes, panoramic views, abundance of bird and wildlife. Fantastic fishing and rafting on our 2km of Vaal River frontage. The area is truly a nature lover’s paradise with a uniqueness of being undiscovered, unspoilt and booming with possibilities. WC/ Duschanlage ist sehr alt und dringend renovierungsbedürftig. In der Toilette gabs kein Licht, Spülung funktionierte nicht richtig. Sehr schlechter Zustand der sanitären Anlage, die Lage des Campingplatzes am Wasser wäre gut. We needed a place to stay as we had a lot of activities for the weekend. Smilin Thru was 10 - 15 minutes away from the places we had to go. We arranged hotel accommodation and it was more than sufficient. Would suggest actually having coffee at the coffee station though. We'll definately be back but then we'll most probably make use of the chalets. The customer service was bad, it had me on the wrong booking. Then at night i was told my booking did not exist. No orientation of what activities are available at the resort. The waster was cold no gyser. 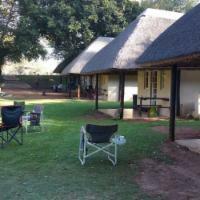 Smilin Thru Eco Resort is 9.5km from the centre of Parys , the nearest airport 110.3km (Lanseria International Airport).